An EMP attack will change the world and the way you live forever. There are six important steps you can prepare yourself for these dark times, an article in Smart Prepper Gear states. The first step is the bread-and-butter of any proper prepper: Cover all of your basic needs. The second step is to reinforce the defenses of your home. The typical American house is vulnerable to attack. Desperate people will do desperate things to survive. If they hear or suspect about your stockpile, they will attack. Strengthen your entry points. Replace the wooden doors with steel doors that have sturdy bolts and hinges. Swap out the glass windows for the tougher acrylic equivalent. Get enough barbed wire to put a fence around your home in short order. And stack sandbags in your basement as an emergency bunker. You will need weapons to defend yourself and your home. Get at least one pistol and one shotgun for yourself. A semi-automatic rifle and a hunting rifle are good investments if you can afford them. Each weapon needs at least 1,000 rounds. The third step is to pick up first aid and medical skills. After an EMP attack, there will be no professional medical assistance available. Start by buying a full first aid kit. Stockpile medicines like antibiotics and painkillers that will become rare after the attack. And sign up for a first aid class so you will have the knowledge and experience to treat illnesses and injuries. The fourth step is to set up means of feeding yourself and your loved ones that does not involve hunting, fishing, and/or foraging. Everyone else will be thinking the same thing and competing for you. Find some other means of nourishing your family. Raise chickens or set up a survival garden. Make sure your food source is secret as you do not want to attract attention. The fifth step is acquiring negotiation skills for bartering in a post-collapse world. Currency will be worthless, so you will have to learn how to trade. Make sure to devote a separate stockpile for trading. Bartering is not that much different for bargaining over a car at a dealership. One good trick is always being ready to walk away. Never let the other party see how desperate you are. Never show up alone or unarmed. Bring at least two other adults with you. Everyone should be armed with guns. If possible, have someone with a scoped rifle covering you from afar. Never give your highest offer first. Do not reveal how much you have brought with you. The final step is to develop resourcefulness. You must learn to look at common household items and see how they can be used outside of their usual purposes. For example, aluminum is not just a food wrapper. Use its reflective properties to redirect heat and light. It can be used to warm things, send light-based signals, or protect vital electronics from EMP attack. 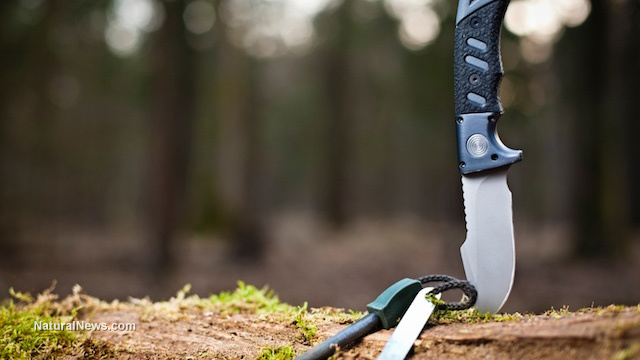 Pick up more tips to keep yourself alive after a collapse at Survival.news.